FEMA’s Public Assistance (PA) program provides federal assistance through grants to government organizations and certain private nonprofit organizations following a Presidential disaster declaration to quickly respond and recover from major disasters or emergencies. Through the program, FEMA provides supplemental federal disaster grant assistance for debris removal, life-saving emergency protective measures, and the repair, replacement, or restoration of disaster-damaged publicly owned facilities, and the facilities of certain private non-profit organizations. The PA program also encourages protection of these damaged facilities from future events by providing assistance for hazard mitigation measures during the recovery process. 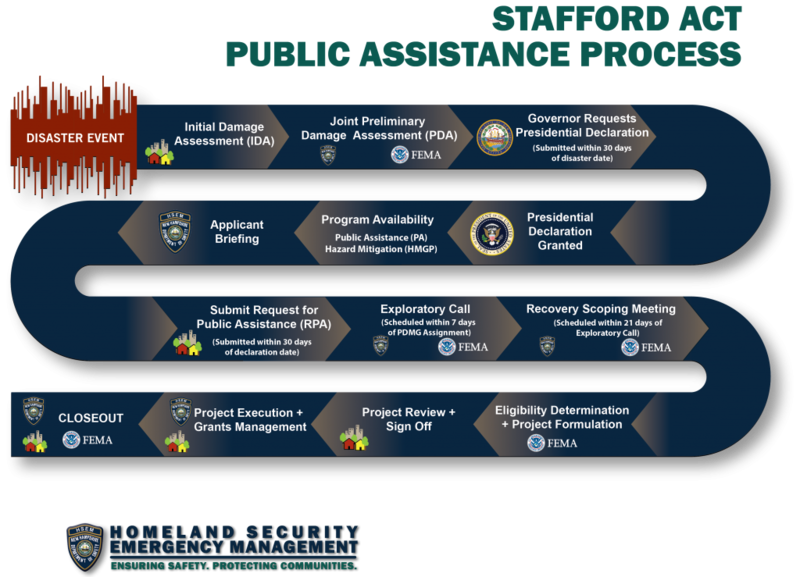 The federal share of assistance typically covers 75% of the eligible costs for emergency measures and permanent restoration. The remaining 25% non-federal share is the responsibility of the applicant.